1. Stainless steel Specification: the commonly used stainless steel plate is divided into 201 and 304 two models, is actually is different, 304 quality good composition, but the price is expensive, some 201 sent some. 304 for import stainless steel sheet, and 201 for domestic stainless steel plate. 2. 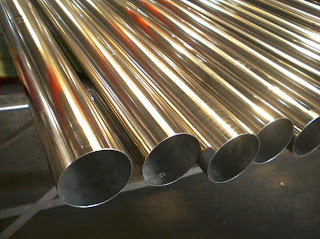 Stainless steel 201 composition: 201 composition for 17 Cr 4.5 Ni-6 Mn-N, is day 301 of the steel, steel grade.these steel Ni alternative steel. After cold forming, used to have after magnetic railway vehicle. 3. Stainless steel 304 composition: 304 composition for 18 Cr-9 Ni, is to get the most widely used of the stainless steel, heat-resistant steels. Used in food production equipment, yesterday the chemical industry equipment, the nuclear etc. 4. Stainless steel maganese chemical content: 201 is higher, with manganese surface very bright light, with dark with manganese higher is easy to rust. 304 more, including chromium surface display dumb light, not rust. Two put together has more. The most important is the corrosion resistance, 201 different the corrosion resistance is very poor, so the price is much cheaper. And because 201 containing nickel price is low, so low, so the 304 corrosion resistance as 304. 6. Stainless steel corrosion ressistance: Stainless steel is not easy to rust is because in the steel body surface form rich chromium oxide can protect steel body, 201 material belong to high manganese stainless steel is 304 hardness of high carbon low nickel. 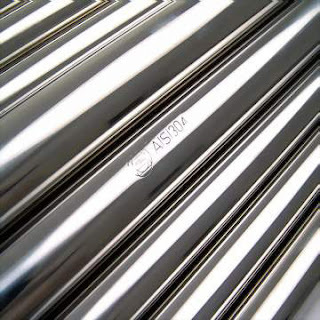 See a video of stainless steel. This was a very good video for your science project﻿.